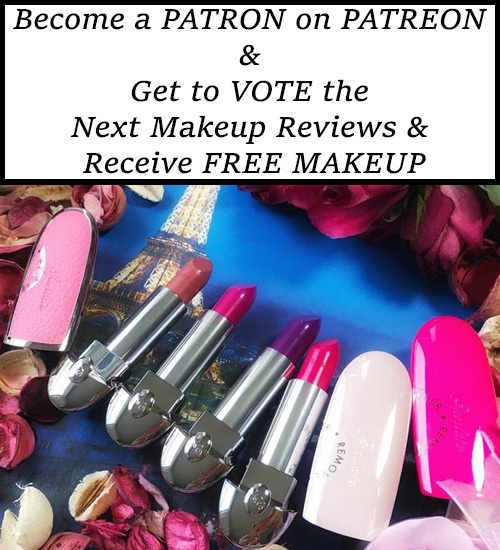 A Hello Kitty fan like me couldn’t have missed the goodies from Hello Kitty Holiday 2015 Collection (photos, prices) by Avon. 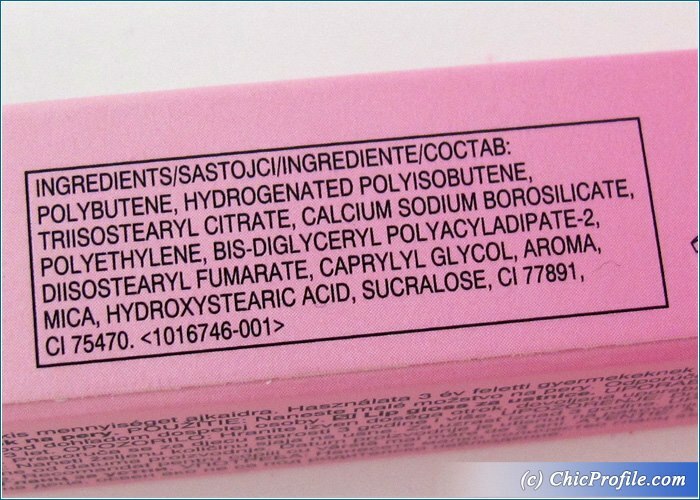 Obviously I bought the entire collection with one product exception and even though I gave you a quick preview back then, I’ve returned with an individual review for Hello Kitty Yummy Tutti Frutti Lip Gloss. This was a limited edition release and this was the only shade of lip gloss from the entire collection, even though I wish to be more. 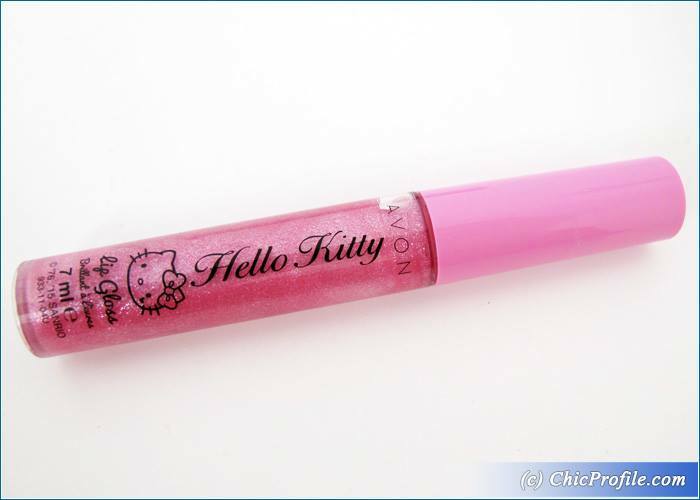 Hello Kitty Yummy Tutti Frutti Lip Gloss (11.00 Lei for 7 ml) is a light translucent pink with cool undertones, silver shimmer and a glossy finish. It has a sheer color coverage, not delivering too much color but it has a noticeable shimmer to it. 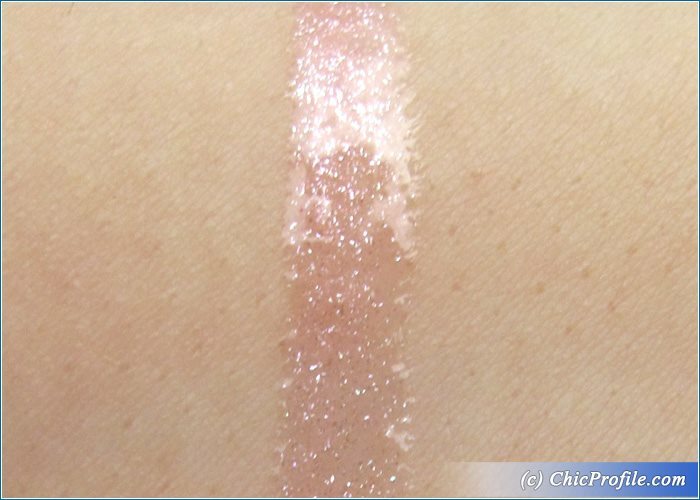 It’s the kind of shade that will look natural on you, with just a pop of shimmer so it can be worn by little girls (probably they were target for this color), teenagers but also more advanced Hello Kitty lovers. 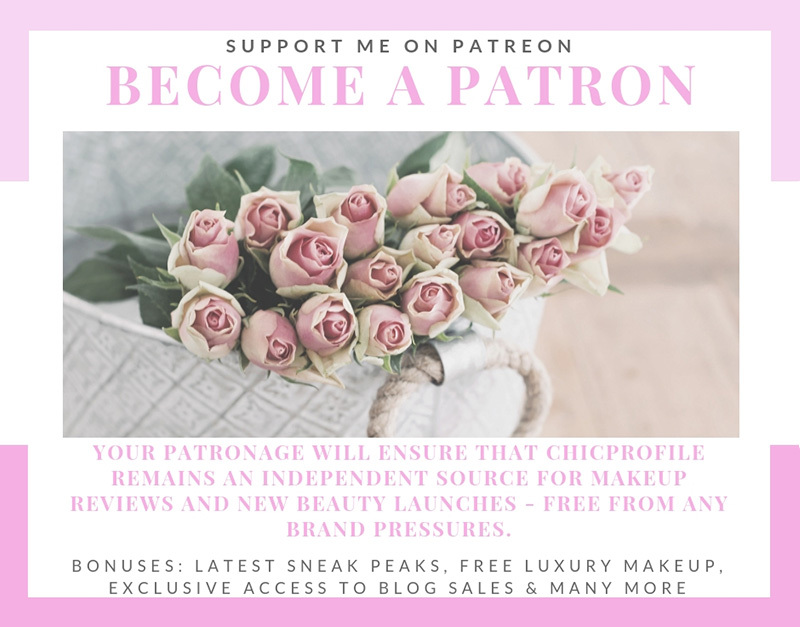 I personally love all kind of lip gloss, sheer coverage, intense pigmentation, matte or glossy, they are all welcome and if they come in pink or purple shades, even better. 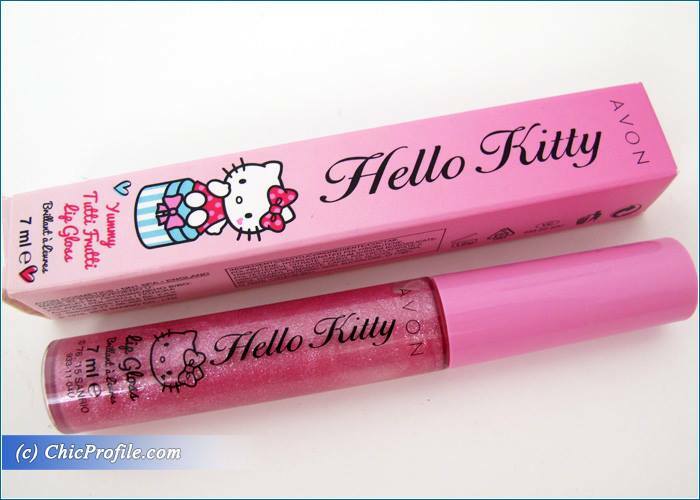 Hello Kitty Yummy Tutti Frutti Lip Gloss has a strong fruity scent in the tube with no discernible taste to me. 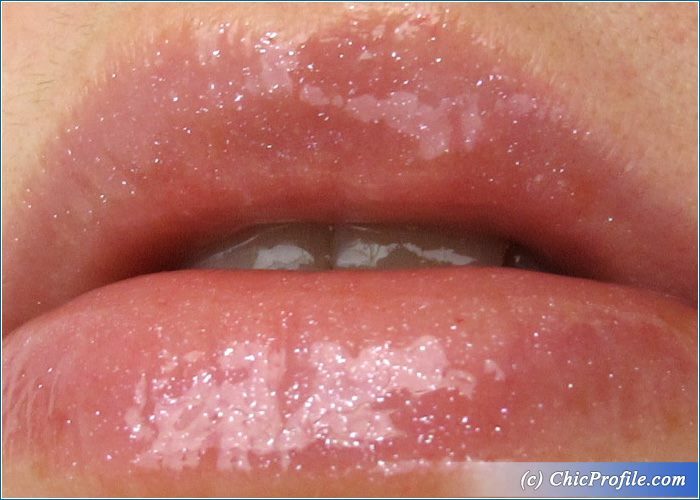 It applies fairly well on the lips even though the consistency is a little bit on the thicker side. It feels quite comfortable, slightly sticky and tacky. It comes in a transparent gloss tube with a pink cap and a doe-footed applicator. Considering the low price I admit my expectations were quite low so I’m not bother but the sheer wash of color. The formula doesn’t sink into lip lines, but on the contrary it makes lips look fresh, fuller and gives them a healthy glossy finish. I had about 2 hours wear with this formula and when I had a meal most of the color wore off pretty fast leaving my lips covered with a bit of those shimmery silver particles.